The Queen Is Handing Her Powers Away. Is ‘King Charles’ Ready? With a particularly vicious flu virus doing the rounds this spring, Philip’s non-appearance set off a now-familiar round of speculation and panicked obituary preparation in the newsrooms of national newspapers. The palace was at pains to stress there was no cause for concern, but incidents such as these do serve to focus minds on what will happen when Prince Philip dies, how his death will affect the queen’s ability (and desire) to continue her own high-profile public life, and, ultimately, how the process of succession will be managed. There is absolutely no question that Prince Charles will be the next king of England. Princess Diana’s hope that the crown would skip a generation and pass directly to William will not come to pass. Were there any doubt of that, it can be seen in the fact that Charles is already being handed ever increasing powers and responsibilities by the queen—and Charles is passing more on to William. This week, for example, it was Prince William who conducted an investiture at Buckingham Palace, knighting the former Beatle, Ringo Starr. The queen, is also lobbying hard for Charles to be declared the next leader of the Commonwealth. A decision on this may be made as soon as next month at the Commonwealth Heads of Government meeting in London. It seems unlikely Queen Elizabeth would get away with even contemplating any one of the above actions without triggering a revolution, but there are certain other jobs she is regularly required to perform to ensure the smooth running of the state; signing government policy into law, the weekly audience with the prime minister, and the appointing and dismissing of prime ministers, for example. What all of these (admittedly ceremonial) jobs have in common is that they are much easier to perform if you are living in London, or, at a push, nearby Windsor. If, as many suspect, the queen does intend to retire to Scotland after either the death of her husband or her 95th birthday, it seems likely that she will have to give Charles almost all of her powers, if the spectacle of the prime minister of the day rushing 700 miles north every Wednesday for tea with Her Majesty is to be avoided. The only two ways to do this are either for the queen to abdicate—which the palace has always briefed is not a conceivable event, due to the muscle memory of the 1936 abdication crisis which came close to toppling the monarchy—or to declare Charles her “regent” and entitled to act in her name. However Robert Lacey, the royal author and historical consultant for the Netflix series The Crown told The Daily Beast he thought a regency was an unlikely outcome. Lacey said his personal suspicion was that if the queen does live to an advanced age, the principal change would be that she would be based at Windsor Castle rather than Buckingham Palace, which would allow her to continue to keep up with her day to day governmental business and weekly audiences. So how will any transition period really look? On the face of it, outsiders would notice few changes, Lacey says. Investitures—as the example of Ringo Starr this week shows—are rarely conducted by Her Majesty any longer. The significant winding down of her public appearance schedule would be the most visible change. 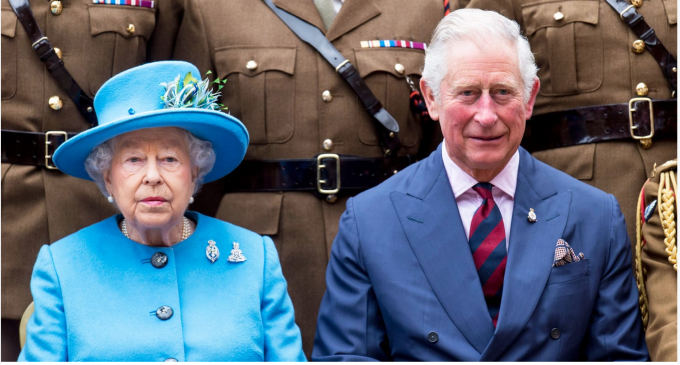 One vivid example of Charles’ power, and the queen’s willingness to let him have it, can be found in the resignation of her Private Secretary Christopher Geidt last year. The writer Tom Bower has claimed in his explosive biography of Charles that Geidt was given the boot at Charles’ request. The writer Christopher Andersen, author of The New York Times bestseller Diana’s Boys, is one of the few voices who claim the queen will abdicate. He thinks a regency will not happen but for different reasons to Lacey—that it doesn’t go far enough. “Being regent is far from being king, and the Queen knows that it would be nothing more than a temporary fix, and not a particularly pleasant one for her son,” he tells The Daily Beast. “When Prince Philip dies or the Queen turns 95, whichever comes first, I believe the Queen will abdicate—the Palace will spin it as a retirement, but technically it will be an abdication—leaving Charles to become king while still in his early 70’s. “He’ll still be the oldest person ever to ascend to the throne, which is far from ideal since polls have always shown most Britons want William and Kate to be their next king and queen. Source: The Queen Is Handing Her Powers Away. Is ‘King Charles’ Ready?